Alright, filmmakers and old-school Saturday Morning Cartoon Crusaders, this is it. This is the moment we’ve been waiting for. General Mills has put out an official call for all aspiring actors, filmmakers, agents, “tastemakers, dealmakers, movers, and shakers” in hopes of making their cereal-box monsters the next major film stars. That’s right. The Berries Boo and Franken are ready for their closeups, and you now have an opportunity to be responsible for this mildly dystopian turn of events. On a website strictly dedicated to this effort, General Mills asks creatives from all sections of entertainment to send it any possible ideas. Those interested are encouraged to submit their contact info and credentials; however, the company is very clear: This is not a contest or pitch-grab. This is somehow a serious offer to, as they say, “work with the monsters.” So that Count Chocula/Riverdale crossover fanfic that’s currently burning a hole in your hard drive? That could be a thing. Whether the public would thank or throttle you for it remains to be seen, but the point is, General Mills is willing to open up that Pandora’s Box. 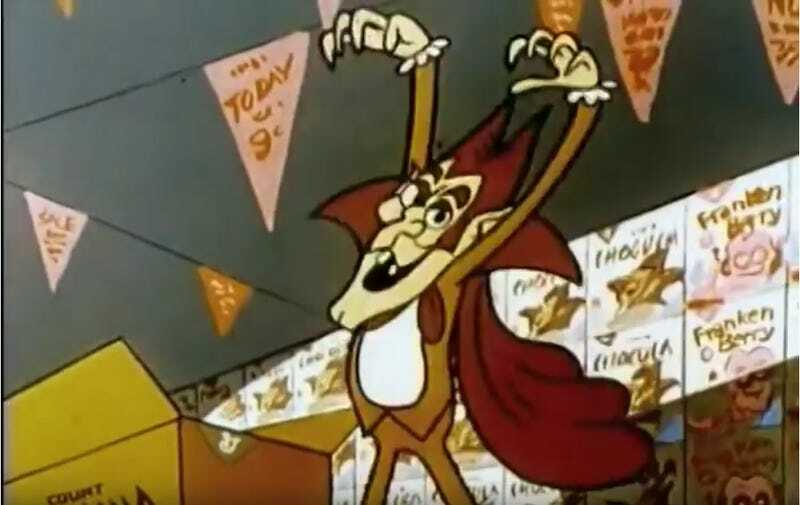 Sure, the idea of Franken Berry becoming the next deeply troubled prison guard in an Orange Is The New Black-esque CW musical sounds preposterous. But to be fair, this isn’t General Mills’ first brush with Hollywood. In fact, their relationship goes back to the 1960s, the decade that birthed the likes of The Adventures of Rocky & Bullwinkle and Underdog. And while we continue to claw our way from under an ever-growing heap of reboots, maybe a challenge to create something new, no matter where that challenge comes from, isn’t the worst thing. If you’re planning on giving this a go, take a gander at the Terms and Conditions, dust off that Boo Berry military mockumentary spec script, and get to work. Your time is now.